We have been providing clients with complete and bespoke Magneto systems of the highest quality – making their websites stand out for all the right reasons. We know what it takes: from integrating API to tailoring design and enhancing website performance – we are the solution here at RS Digital Marketing. Want to know more about what Magento is and how we can bring it to give your site the boost it needs? Already have Magento but not sure that you are using it to its full advantage? Want to take your site to the next level with Magento? TARGET all areas of your site and customise pages to your specifications. MARKET through the best web template system, where we can add Plugins to boost function. WORK IT and impress – through a single admin panel to bring a range of benefits. Magento is a platform and content management system we can make work for you. Not only can we install it from scratch, but we can build-up your existing Magento website and market it to the highest standards. 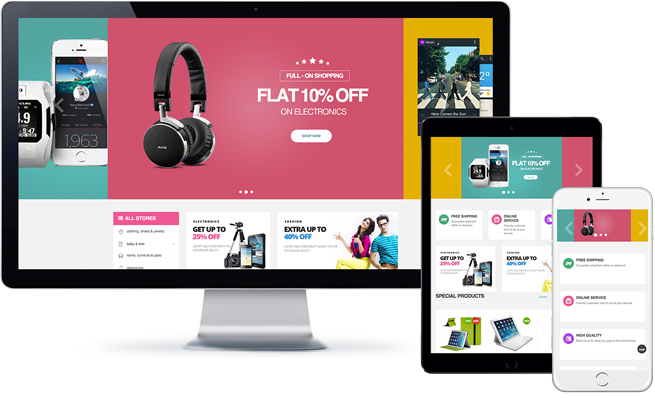 Do you want to bring your site the best in eCommerce? How about custom pages which look great and keep people clicking? Magento is a method to keep this all under control and gives great flexibility to customise; so you can have a site which is sure to impress. Here at RS Digital Marketing we have managed a number of Magento projects to the highest standard and want to do the same for you. The nature of the CMS means it can suit your individual needs. Our team of experienced developers know how hard it is to make a website matters – that is why hey are leaders in their field who seek to make the best of every single project they take on. At RS Digital Marketing, we will bring functionality and the finest design to your site.